I finally had a housewarming party for my family members on National Day's eve. Didn't do it with a big bang as I wasn't sure whether I can handle a big party. So this was kind of like a test, I am glad that despite a little ache, I did it. The weather was awesome too for BBQ and I was pretty pleased with my marination for the BBQ items. My family really love the kebabs, the chicken wings and the pork chops. Will attempt this again as I didn't have the mood to take pictures and then I can share the recipes with you all. To ease off the heat that had been building up these past few days, I prepared Cendol. I was too lazy to find my ice shaver which I believe is hiding somewhere but I regretted it as the blender didn't do a great job. Nevertheless, am happy that I had my cendol fix and definitely a good way to cool the body down. Oh wow! 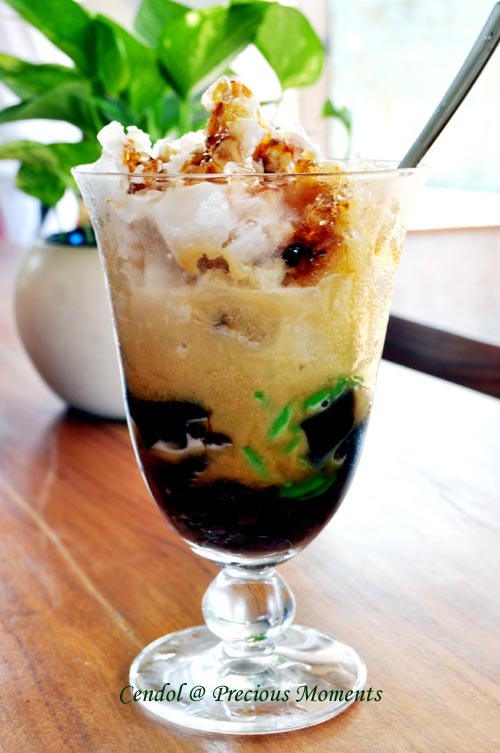 The Cendol looks refreshing! In my house, my father-in-law is the handy manny man. Glad you're up and well. PAB, isn't it great to have a handy manny in the family. My dad is our Dr fix it all.